Friends for more than two decades, Douglas Riddle, President & COO of Bittners, and cosmetic surgeon Dr. T. Gerald O’Daniel, point out that while they work in different professions, their philosophy as it relates to design–interiors for Riddle, and the human form for O’Daniel–have distinct parallels. 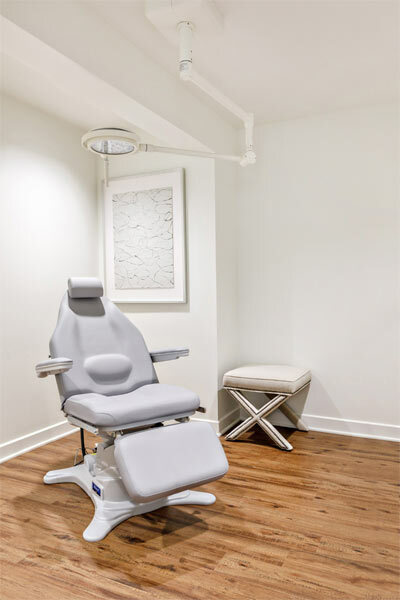 “We both approach things from a less-is-more point of view, and where the world revolves around our client,” said Dr. O’Daniel, who recently unveiled a new office on Chenoweth Lane. Most recently occupied by a hair salon, the sleek O’Daniel logo is centered in a pair of large picture windows gracing the front façade where salon chairs used to be. “Douglas knows me so well and understands what I want, which made the process effortless,” said Dr. O’Daniel. Having practiced downtown for many years, he explained that the time was right for moving his practice to St. Matthews, as he’d long outgrown his previous office space. Convenient, spacious, and simultaneously timeless and tony, the new office environs elevate the experience for both clients and staff. 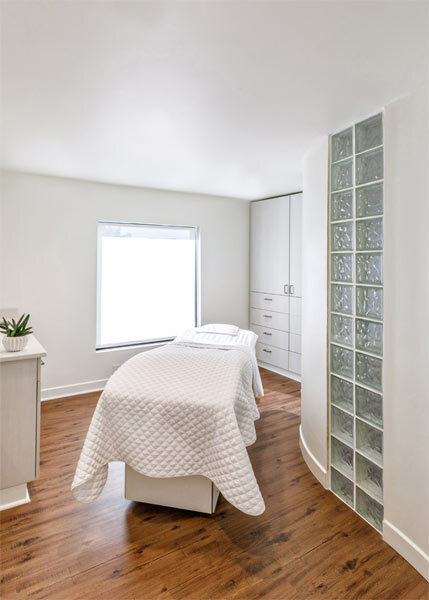 The three-story O’Daniel Studio boasts 2,500 square-feet on each floor, allowing for consultation rooms on the first floor, and treatment rooms designated for providing minimally invasive procedures, including CoolSculpting, facial injectables and skin care treatments, on the second floor. Dr. O’Daniel explained that the idea of calling the office a “studio” relates to the connotation of the word itself. “A studio is where art is made. Cosmetic surgery is 85 percent art and 15 percent science,” he said, adding that his focus is age management, not anti-aging. 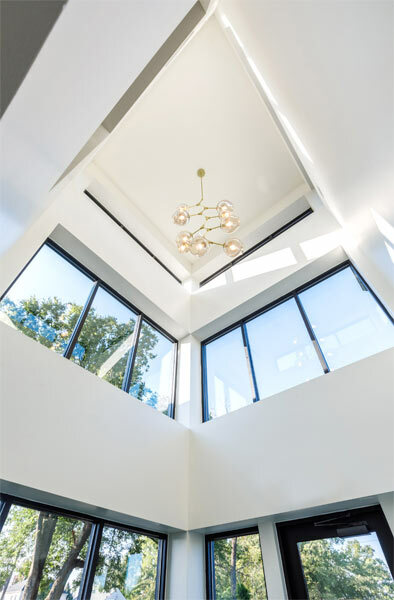 Riddle said the interiors he conceived for the O’Daniel Studio mirror the “quiet way that Dr. O’Daniel makes you look younger and better.” He worked closely with Perry Rogers, Dr. O’Daniel’s long-time office manager, with whom he shares a similar affinity for minimalist design. Fellow Bittners designer Chad Cobb assisted with project management. 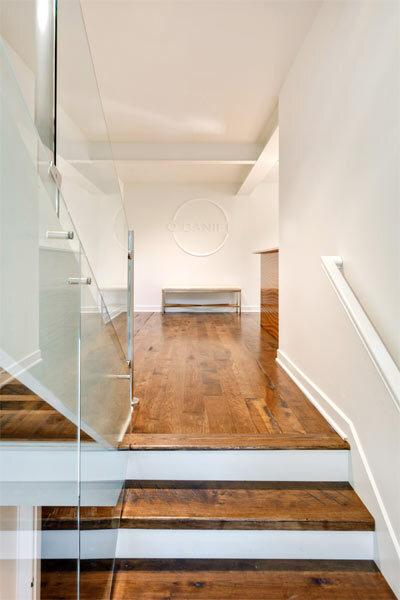 stair rail maintains an open sightline from floor-to-ceiling in the tower. The reception desk is purposefully positioned out of sight from the foyer. “I wanted clients to come in and appreciate the tranquility of the space rather than being focused on making a B-line to the desk,” Riddle explained. With the exception of a striking statement painting by internationally acclaimed artist Gaela Erwin near the reception desk, the warm white walls are nearly void of extraneous adornment, including diplomas and accolades, with Dr. O’Daniel preferring the faces and physiques of his happy clientele serving as the tip-top testament of his expertise. 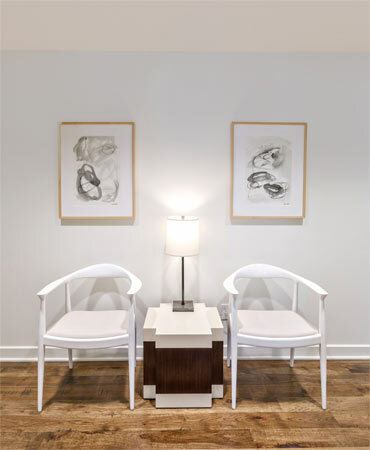 Although it’s not called a waiting area per se (“That would imply that people have to wait,” explained Dr. O’Daniel), he remarked that clients have actually expressed disappointment for not being able to linger longer in a pair of chic seating areas near the reception desk. 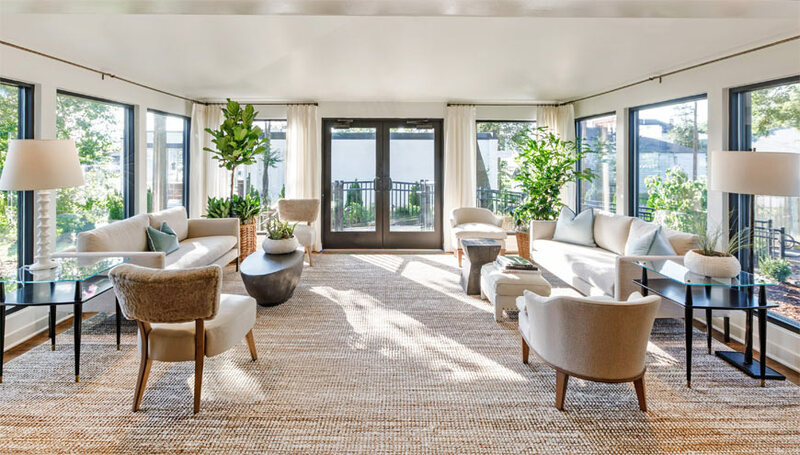 Recalling the ambiance of a high-end beach resort, the space is executed in similar shades of vanilla, with subtle variations introduced via form and texture. Accent pillows positioned on a pair of sofas sport a dreamy shade of blue that calls to mind those paradisiacal places on the planet where the color of sea and sky are one and the same. “I love it when clients say that coming here feels like being on vacation,” said Dr. O’Daniel. 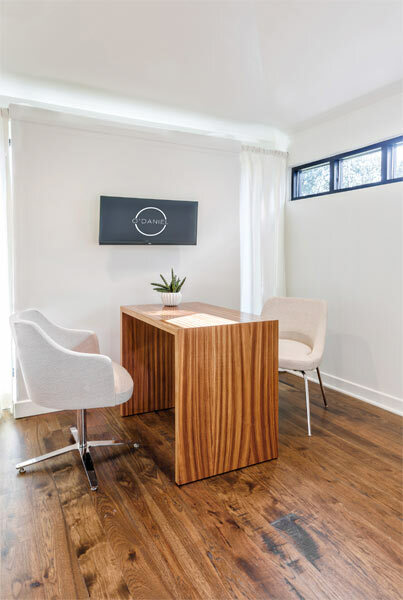 Keeping the focus on the client, consultation rooms are simply yet elegantly outfitted with a zebrawood console-style desk and a large monitor for viewing images. Dr. O’Daniel asks clients to share photographs from different decades of their lives to provide him with a frame of reference. Without these, he explained, “it would be like painting a landscape with the shades drawn.” He added that the exercise also creates positive energy and a personal connection with the client, as more often than not, the images have happy memories associated with them. “We have worked hard to optimize the client experience and create something you can’t get anywhere else,” said Dr. O’Daniel. Riddle concurred and added that like Bittners, Dr. O’Daniel appeals to a discerning clientele. “Our successes are attributable to remaining staunchly true to our respective brands,” he said. Top 100 sculptra doctor - Gerald O'Daniel M.D. Rhinoplasty Guide - Part 1 : What is rhinoplasty and is it right for you?